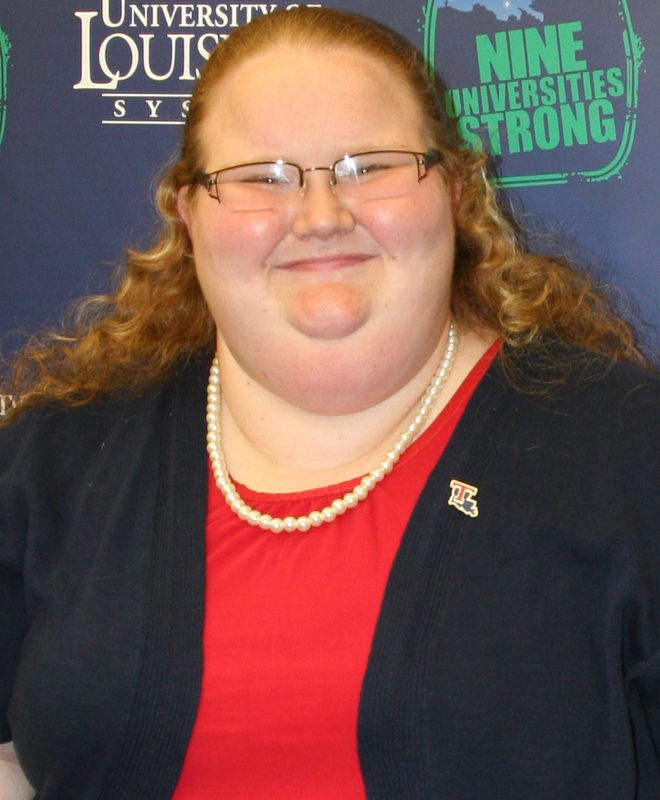 BATON ROUGE – Louisiana Tech Student Government Association President Maggie Brakeville will serve as the student member on the University of Louisiana System Board of Supervisors for the coming year. She was among a number of SGA presidents from universities throughout the state elected to leadership posts in their respective university systems, as well as statewide higher education panels. Other UL System SGA presidents elected to positions include Northwestern State University’s Matthew Whitaker, who will serve as vice chair of the statewide Council of Student Body Presidents (COSBP); University of Louisiana at Monroe’s Marc Calhoun, who was elected chair of the UL System’s Student Advisory Council (SAC); and University of Louisiana at Lafayette’s Kirsten Allen, who was named SAC Vice Chair. President Sandra Woodley explained student government representatives serve as voting members and play an essential role in the deliberations of the UL System’s governing board. “The other board members have come to rely on the perspective of our student member. I value it, as well. After all, our system’s policies affect students most of all. We’re much richer for their input,” said UL System President Sandra Woodley. 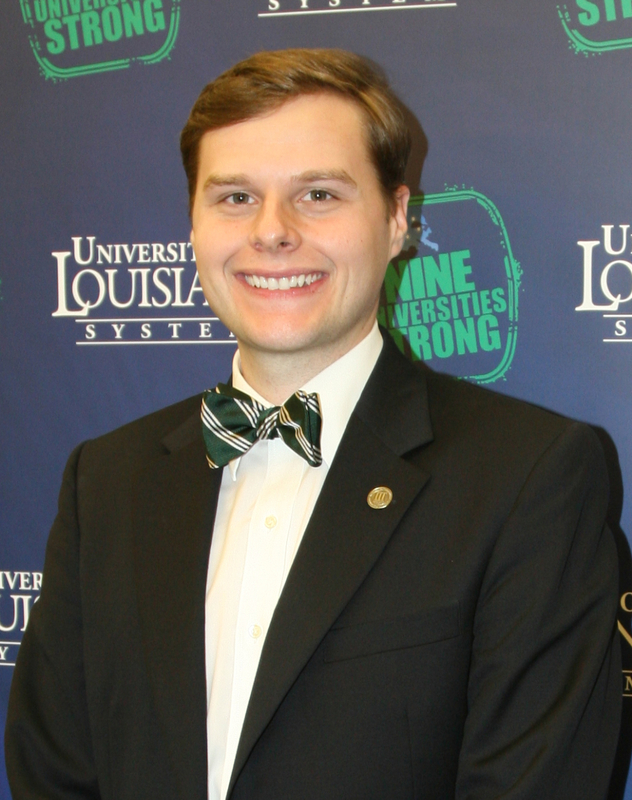 Brakeville, who recently completed a term as student member of the Board of Regents, will be sworn in as a board member at the UL System Board meeting in June. 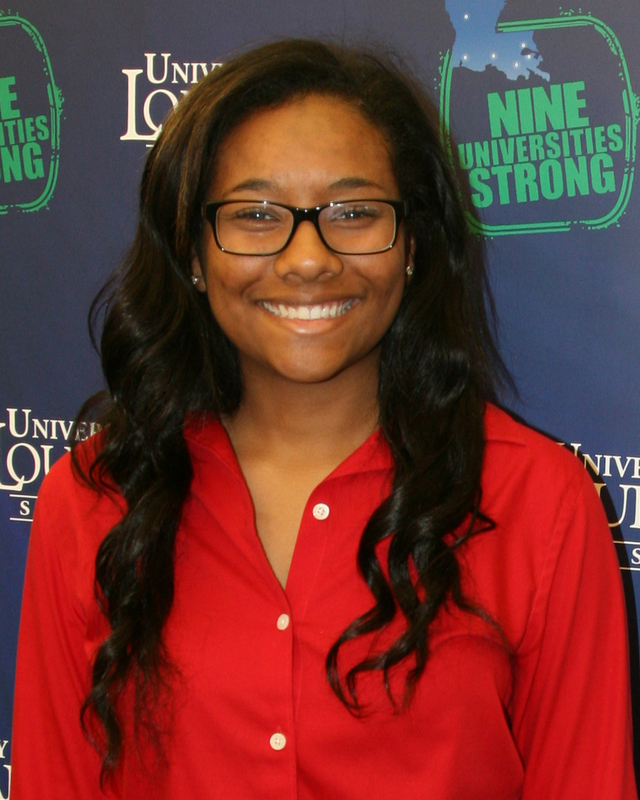 The Louisiana Tech Masters of Business Administration student said she looks forward to focusing on the interests of students in the nine UL System universities. As a board member, she’ll automatically be appointed to the presidential search committee for neighboring Grambling State University. “It will be a pleasure to represent the interest of the students. I am also looking forward to gaining a better knowledge of the campus and students at GSU,” the Benton, La. native said. As Vice Chair of the statewide Council of Student Body Presidents, which represents leaders from all university systems, Northwestern’s Whitaker said he is looking forward to a successful and eventful year: “It is a crucial time for all students within higher education to stand up and make our voices heard.” The senior from Winnfield is studying psychology. 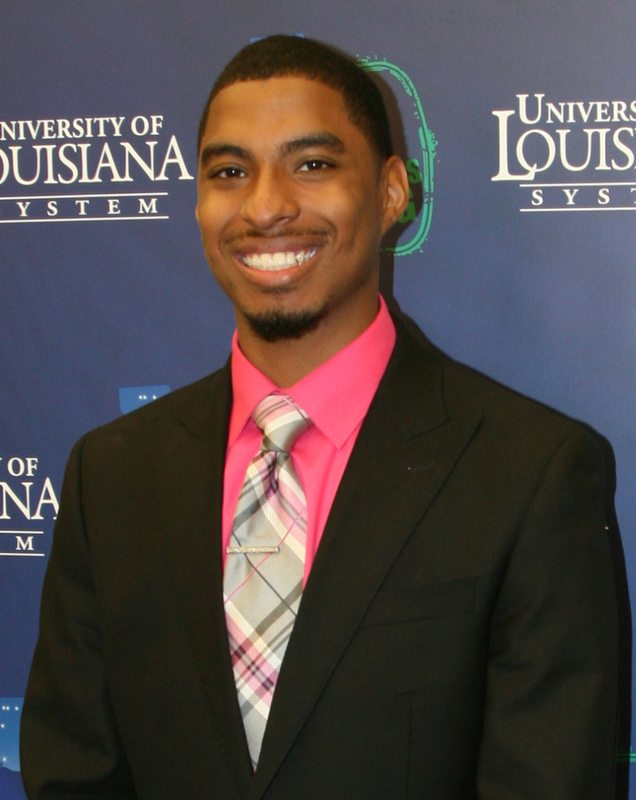 Calhoun, a senior biology major from Bossier City, will chair the UL System’s Student Advisory Council. He said one of his priorities is to keep students informed. He hopes to impact students beyond UL Monroe and the UL system. “With the help of the other student body presidents of the UL system, I believe that we will help this system to do great things to impact the whole state of Louisiana,” he said. UL Lafayette’s Allen said she wants students to realize they have a voice on issues affecting their campuses. The SAC vice chair said she wants her fellow students to know “they can show up and be heard” on issues like the budget. The junior in athletic training said she relishes her position as SGA president at UL Lafayette for the opportunity to make a difference and advocate for students. Allen is a New Orleans native. Student leadership positions are filled by election each year among university peers within the system and among the four systems (Louisiana Community and Technical College, Louisiana State University, Southern University, and UL systems) for statewide positions. Terms of service begin in June.